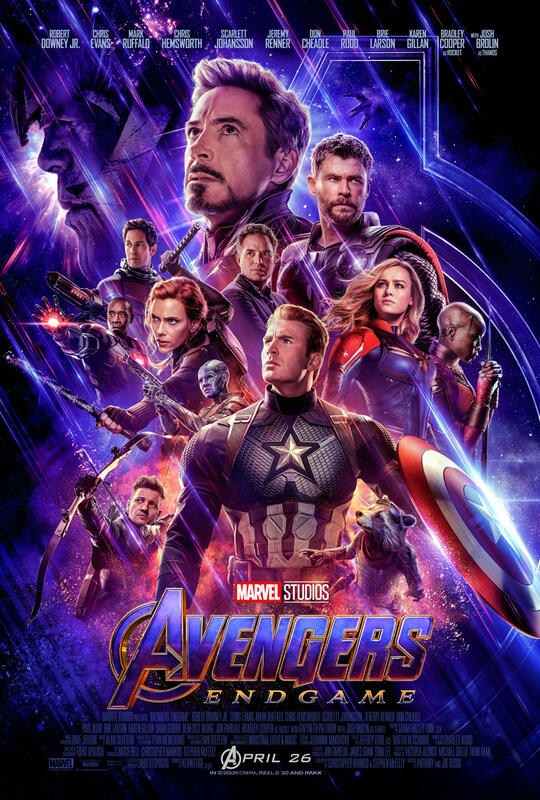 Love Okoye making the poster! I honestly doubt that will Kate Bishop, but likely one of Clint's kids he is training. Maybe Kate Barton. Doesn't do a whole lot but I feel it does it well? It's funny that that Infinity war had Hulk on the poster (and very little Hulk on screen) while this one has Banner (and i presumed little Banner on screen?). Yeah that seemed the most likely to me. I'd guess it's a flashback for Hawkeye, to what he was doing at the time of the fingersnap. Edited to add: Although I could see training someone that lost their parents because of the fingersnap, being something that helps him cope. So a possible Kate Bishop that way but one that would be undone by going back in time to stop it all from happening? mhm the fun of random guesses! It'll be interesting to see who she actually is and how it is really done in the movie. So, That was a repaired Mjolnir there at the end? Seeing a lot of minor character variations (Widow's hair color, Hawkeye's hairstyle, Mjolnir/Stormbreaker) I wonder if it's indicative of the passage of time or timeline alterations? We seen shot on set of Cap tlaking with Carlon in her Kree colors. And we've seen shot Stran ge on set with Cap. So these can interprested as time travel or variation. And there the checkov gun of the quantum vortexes messing up time from the Ant-man and Wasp post-credits. Thor's new hammer is Stormbreaker (Beta Ray Bill's weapon)--or at least the MCU incarnation. Well, we know that Tony and Nebula make it back to Earth and that the entire team is back together. I find it a little telling that Steve is the one leading the crew to wherever they're going. They also don't show Rocket in that procession although he was shown in the Big Game spot. There's someone behind Natasha, I think it's Thor. Don't see Carol there, but as with the first trailer we don't see Ant-Man until the last part. On the whole it wouldn't surprise me if everything we've seen is only in the first hout/two acts of the movie. The action stuff we see with Scott could be his escape journey to the Avengers compound, the Nebula scene looks like it could be on Titan and Clint could be where he meets up with Natasha.